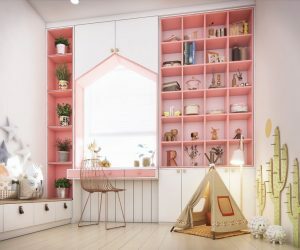 After seeing their beautifully designed boys rooms, we just had to do a feature on the pretty ideas found in the traditional girls rooms featured on RHBabyΧld too. These are surely the play spaces that little girls dreams are made of! 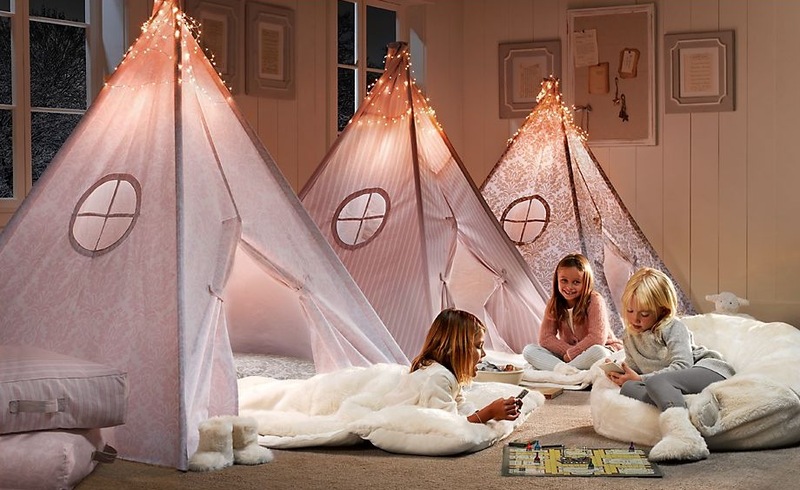 An adorable take on the sleepover trundles these mini teepees provide the perfect place for late night chatting and games. 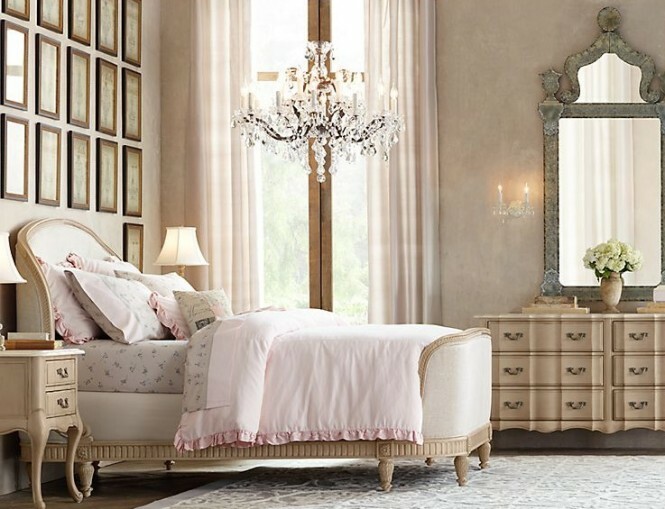 If your little one dreams of princesses and palaces then this cream and delicate pink scheme of frills and fancy will suit her down to the ground. French style furniture with a shabby chic finish gives this space an established look, as though this castle has been housing mini royalty for hundreds of years. 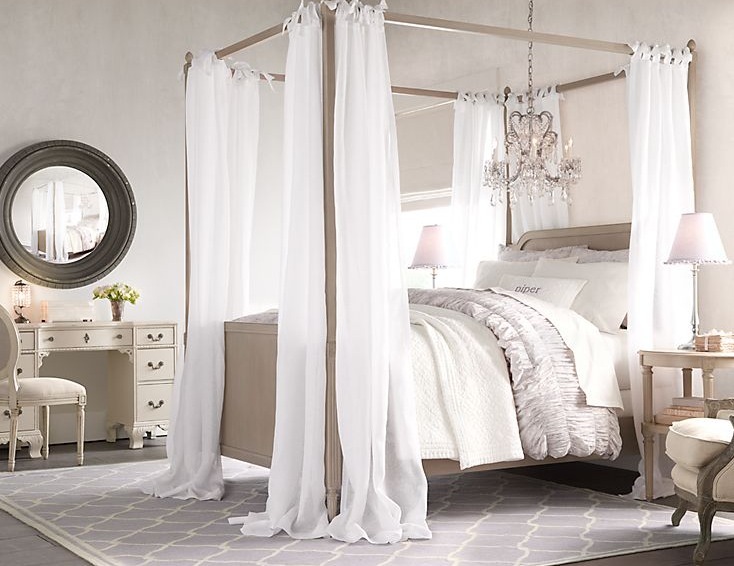 This scheme takes the princess theme to the extreme by implementing a giant crown above the bed as a canopy topper, which is sure to thrill. The metallic crown is complimented by a cluster of antique style pendant lights that are left to hang low for added drama and sparkle. Taking on a slightly more country cute look, these rooms adopt a simpler furniture silhouette with understated accessories. The kid’s chair matches the toy chair! 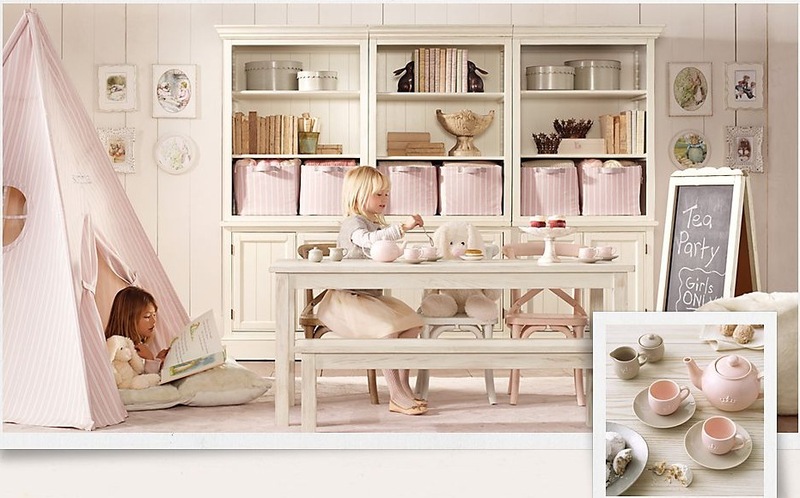 Lilac and white is a refreshing feminine color palette if pink is not their favorite thing.